It’s hot and sticky and gross outside….but what better to accompany that than a hot and sticky rock show? 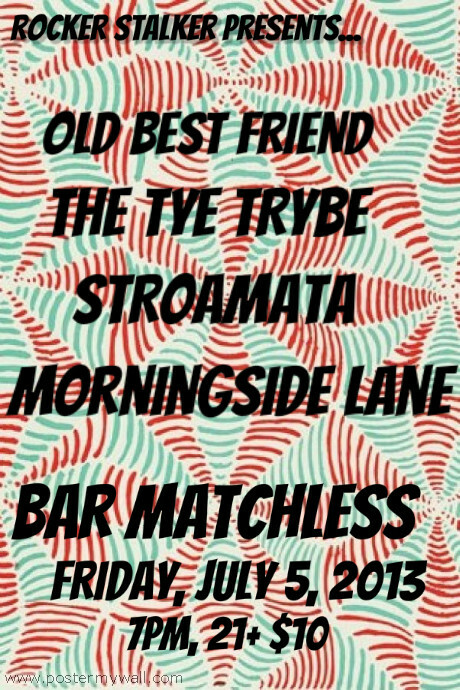 Come out to Bar Matchless TONIGHT to catch Old Best Friend, The Tye Trybe, Stroamata, and Morningside Lane. Rockin’ starts promptly at 8pm! 21+, $10.